PSSI is happy as well as feeling honoured to announce that "Dr.Ajith Kumar B.P", a scientist at Inter University Accelerator Centre, as the winner of "Kenneth Gonsalves Award 2016". 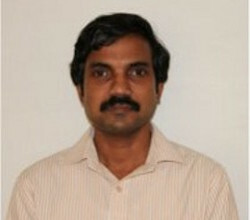 Ajith Kumar B.P. has been working as a scientist, at Inter University Accelerator Centre, New Delhi, since 1987. He has done his M.Sc and Ph.d. in Nuclear Physics from the University of Calicut and M.Sc in Accelerator Physics, from University of Manitoba. His work mainly involved in the design and development of particle accelerators and associated experimental facilities. For the past two decades, he has been involved in promoting Free Software Tools in Education. He has put some efforts to make free and open source tools popular among the academic community, which includes Python in their syllabus. He has also written a book on Python "Python for Education" for this purpose. He has developed control and data acquisition systems for particle accelerators using open source tools. He has been leading a project, which aimed to develop an ejphotolow cost laboratory equipment using open source hardware and software tools. Python is used as "Data Analysis and Visualization" in this project, and the details are at expeyes. Training programs for college teachers are conducted under this project, enabling them to use Python and GNU/Linux for teaching mathematics and science, including experiments. Ajith Kumar B.P will be presented this Award on 24th Sep, the opening day of PyCon India 2016. PSSI and Team PyCon India would like to extend their hearty Congratulations to Mr. Ajith Kumar B.P for his achievement, and wish him all the very best for his future endeavours. It's September already! PyCon India is not more than 15 days away...24-25 September 2016. Not to forget the workshop on 23 September 2016. Be part of this 3-day long conference-workshop and walk out with loads and loads of Python stuff to ponder upon. Rich content of talks, openspace talks and Dev Sprints with Python enthusiasts form a perfect mixture of knowledge, fun and networking. List of talks and workshops can be found here. Dont' think, just grab your tickets here. Hurryyy they are running out..
Have you tried contributing to any Open Source project but lost because of not getting mentorship? Or Start contributing to any Open source project is still in your TODO list? If so, Dev sprint is the best place for you. During Dev sprint, Mentors/Contributors of Open source projects guides participants from generating development build to submit a patch for a bug. It is best opportunity to experience the culture of Open source. People from newbie to experienced together contribute to project. During the session if you are stuck you can solve your confusions instantly from the mentors. From past experience, we found dev sprint projects are not limited for conference days but participants are still active contributor from past year's Devsprint. If you are a contributor or maintainer of any Open source project place come forward. You submit your proposal for Dev sprint here. Project can be any interesting Open source project based on Python. You should have enough contributions to the project. Your responsibility will be to help your team for setting up their developer environment, list out beginner friendly bugs and guide them on any problems. Deadline for submitting call for proposals is 15th of September, 2016. Don't hesitate to submit proposals Pycon India is Open for everyone. It's PyCon India time again!! So exciting, isn't it? PyCon India has provided a platform for like-minded enthusiasts to get together and share their experiences and learnings. We are glad to continue with the tradition of having open space this time as well. Having such talks help attendees learn from other's experiences and interact with more people making the community a vibrant one. Literally, it's a SPACE OPEN to anyone who wishes to talk about Python. Be it experience, learnings, libraries, tools, frameworks, tests, correct code practices, an idea, a "what-not-do" talk or anything that is about Python. Interested people register for an open space talk. A time slot is allocated, person gives a talk during the alloted time. Audience interacts and discusses sharing their opinions. Such small group discussions mostly turn out to be great. Just to make arrangements for rooms, projectors and other such requirements. On-spot registration is also allowed provided there is time slot availability. How to participate in Open Space? Simply register yourself here. Remember you can also just walk in during the conference. Allowed time slot for each talk is 15-30 minutes. Reach the talk arena, 5 minutes before your talk starts. Q: Who can give Open Space talk? Q: My talk is not selected for conference, can I opt for Open Space? A: Yes register here. This way people who are interested in the topic you proposed can catch up with you at the event itself. Q:What is the screening process of Open Space talk? A: No screening process, we are collecting information to facilitate logistics. We are really excited to announce Van Lindberg as our third Keynote Speaker for PyCon India 2016. Van Lindberg is an engineer, IP and open source lawyer, and part-time natural language hacker. 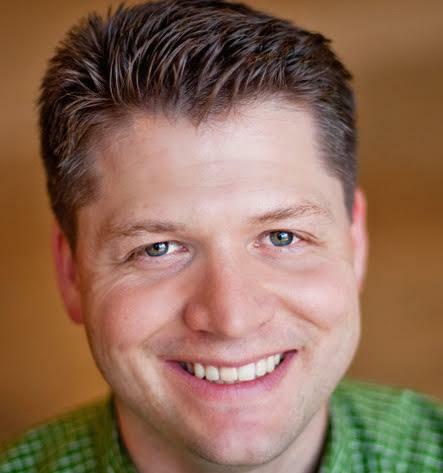 He is a director, general counsel, and past chair of the Python Software Foundation, a director of the OpenStack Foundation, and Vice President and Associate General Counsel for Rackspace. As associate general counsel, Lindberg oversees Rackspace's Intellectual Property program, directing Rackspace's strategy and policy around patent, copyright, trademark, trade secret and open source matters. He also heads Rackspace's patent reform lobbying efforts. Lindberg also co-chairs Rackspace's Technical Career Track program, or TCT, a leadership development program for the most highly skilled technical employees. Lindberg wrote the O'Reilly book "Intellectual Property and Open Source, "and was named one of "America's Top 12 Techiest Attorneys" by the American Bar Association Journal. He can be reached at his twitter handle: @vanl. You can checkout more about him at https://en.wikipedia.org/wiki/Van_Lindberg. We hope you are all excited to see him at PyCon India 2016. So what are you waiting for? Those who have bought the tickets make sure that you come and those who haven't buy it from here. PyCon India 2016 Workshop Details. Many of you have been asking for details of workshops this year. The CFP team has been working tirelessly to select best possible workshops out there, focusing more on quality than on quantity, ensuring more advanced tracks. This year, each track will have 2 workshops. With a total of 6 workshops on the workshop day of 23rd September 2016. Each workshop will be a hands-on session of 3 hours. This year, CFP committee had a tough job, selecting the workshops that hopefully would appeal to everyone while trying to maintain quality. We would like to thank everyone who took time off from their busy schedules and helped review the talks and interact with the proposers. You are a tough little group; we appreciate all the hard work you folks have put in. Thanks a ton, PyCon India would not be the same was it not for all of you. A big shout out to the community for being such a great support. We would also like to congratulate all those who made it through the selection process. There will be three halls for the workshops; held in two sessions of morning and afternoon. While planning to buy tickets for workshops do make sure you do not buy tickets in same time slots in different halls. You need to buy separate tickets for each workshop. The workshop seats are limited to 25. If you are planning to attend PyCon India Conference. We are proud to announce our Keynote Speakers for PyCon India 2016. Baishampayan Ghose (BeeGee) is CTO/Co-founder at Helpshift, Inc. BeeGee is a career functional programmer with exposure to a wide variety of programming languages and paradigms. His areas of interests are Semantics of Programming Languages, Distributed Systems, Software Design and the intersection of Software, Culture and Society. Andreas Mueller is a Research Engineer at the NYU Center for Data Science, building open source software for Data Science. Previously he was a Machine Learning Scientist at Amazon, working on computer vision and forecasting problems. Andreas is also one of the core developers of the scikit-learn machine learning library. We hope you are all excited to see them at PyCon India 2016. So what are you waiting for? Only few regular tickets remaining! Hurry Grab your tickets now or you might end up paying extra for late tickets! PyCon India 2016 is just around the corner. This year’s event is being hosted at the JNU University in New Delhi from September 23rd to 25th. Moreover, we’re celebrating August 10th to September 10th as the Python Month! So get ready for a month of workshops and learning, leading into India’s biggest community run professional conference! Python Month is run-up for PyCon India. Initial edition in 2013 volunteers conducted 45 and so far highest. PyCon India (http://in.pycon.org/), the premier conference in India on using and developing the Python programming language is conducted annually by the Python developer community, represented by Python Software Society of India (http://pssi.org.in/). The conference attracts the best Python programmers from across the country and abroad. This year, PyCon India is celebrating the month from 10th, August to 10th, September as Python Month, with the aim of increasing the awareness and awesomeness of Python Programming Language within the student community in India. Python month will be organized and run by volunteers, anyone who wants to participate is welcome, and all help is appreciated. This is a large task to handle and therefore requires a lot of volunteer support. Create an account in Python Express web application and become a volunteer. Here is how you can help. If you are a Python programmer, and please give a talk/workshop at a college in your city. If you are a professor or student, please facilitate a workshop in your college. Request a workshop in Python Express site. A volunteer will follow up about facilities and tutor. Help us in coordinating Python Month by talking to colleges to arrange workshops. We can conduct four types of workshops. Most of the tutors are volunteers, requesting the workshop as early as possible will ensure volunteers to co-ordinate. I have previously conducted a workshop, what should I do? Thanks for your effort. This year we love to help you. Please go ahead to PythonExpress web app and request a workshop. Our volunteers will get back to you about the tutor. You can have a look at upcoming workshops in the site. Have any questions or suggestions? Contact us at https://pythonexpress.in/contact/ or join the mailing list http://lists.pssi.org.in/cgi-bin/mailman/listinfo/pythonexpress. The CfP for PyCon India closed on 30th June. At close, we received a total of 166 proposals - 31 of which are for workshops. This number is 25 more when compared with last year. A big shout-out to all those who put together these proposals, responded to feedback and tweaked their original pitches. The review team is looking forward to a good set of content being curated for this edition of the event. Big thanks to all the proposers for showing interest to speak. This gives wider pool for reviewers to pick the best ones and review team likes well-pitched proposals. We had a total of 13 sections and a quick break down indicates that the top 3 are - Data Visualization and Analytics (26) ; Web Development (23) and Scientific computing (18). These, along with a catch all Others (25) make up 50% of the proposal. This year, there is the total of 13 sections. Out of 166 proposals, 135 are talks and 31 are workshops. There are no submissions in Standard library, Concurrency, Security sections for the workshops. Top 4 sections Data Visualization and Analytics (24), Others (18), Web Development (17), Core Python (12) contributes 55% in talk submissions. Looking at the break-down of submissions, the three sections which received the least interest are - Network Programming; Standard Library and Concurrency. These, along with Python 3K are topics which could be discussed more at meetups and mailing lists to generate awareness/interest and create expertise. 41% of submissions were on last 6 days. 36 submissions on last day, that's 21.7%. Looking at submissions on the weekday shows, most submissions were on Thursday and least on Friday. Yes, last day of the submission is Thursday! Do visit the proposals page, vote for your favorite talks, comment on the ones that you would like to know more about and help us help you have the most awesome content ever. Hold on tight friends, it is going to be awesome this year! PyCon India 2016 is continuing with the tradition of recognizing exemplary work in the Python community in India. The contributions could be in the field of advocacy, development of the Python programming language and/or increasing the adoption of Python. The recognition is in the form of the KG Award which has been instituted by the PSSI. The award is in the name of Kenneth Gonsalves, a friend, mentor and founder of the Indian Python Software Society. Kenneth, or, KG passed away in August 2012. The PSSI seeks and welcomes nominations for this award. If you would like to nominate someone who is deserving, please nominate them by clicking ->here to submit nominations. Please ensure that you have adequate detail which highlight their contributions and their participation in the Python Community. As many of you folks know, CFP for PyConIndia has been open since March. Thanks to all you folks we have had 79 proposals till date. Thanks for such a warm response. It's such an immense support from our community that makes this event successful year after. Thanks! The important dates for CFP in PyCon India are as below. Acceptance of Talk : 10 July, 2016. If you haven't bought tickets, Grab your tickets Now!. Spread the news about tickets and CFP deadline to your friends, colleagues and others who will be interested. Cheers folks! Hope to see you at PyCon India! Registrations for PyCon India is open now! Register Now! Read the rest when you get back. Tickets 1 to 4 gives you full access to the conference for two days, including breakfast, lunch, tea & snacks and a T-shirt. The workshop ticket has to be bought separately for each workshop that you want to attend. We'll announce them as soon as we finalize them. If you would like to talk Python at the conference, take a look at our Proposal submission page. Put in a rough draft right away. You can think about prettifying it later on. Submissions deadline is on the 29th of June.